The black box of the Russian military plane which crashed in the Black Sea on Christmas Day has been recovered and brought to Moscow. 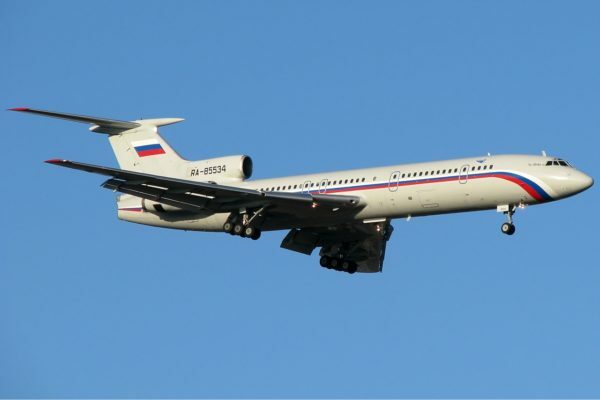 The Tupolev Tu-154 plane came down with the loss of all 92 passengers and crew. At least 12 bodies have been recovered from Black Sea so far. The aircraft was carrying the Alexandrov military ensemble due to give a concert for Russian troops in Syria, and journalists and military personnel. The cause of the disaster is still being investigated but there is no suggestion of a terror attack. According to Russia’s defense ministry, numerous fragments of the plane have been found, including the plane’s chassis and one of its engines. The plane crashed soon after take-off from an airport near Sochi, where it had landed for refueling. The aircraft disappeared from radar two minutes after taking off from Adler airport at 05:25AM local time on Christmas Day, heading for Latakia in Syria. It was carrying 64 members of the famed Alexandrov military ensemble, as well as one of Russia’s best-known humanitarian figures, Yelizaveta Glinka, known as Dr. Liza, executive director of the Fair Aid charity. The black box was found by a Seaeye Falcon underwater remotely operated vehicle at a depth of 56ft, 5,000ft from the shore, the Russian defense ministry told Russia’s Ria-Novosti news agency. A military spokesman said the recorder was in a “satisfactory condition”. Russian Defense Minister Sergei Shoigu described the crash as a “horrible tragedy” and said everything was being done to establish the cause. Transport Minister Maxim Sokolov reiterated that investigators were looking into whether pilot error or a technical fault might have brought down the aircraft. A source close to the investigation told Interfax the plane may have been overloaded. “Witness accounts and other objective data obtained during the investigation suggest the plane was unable to gain height and for some reason – possibly overloading or a technical fault – crashed into the sea,” the unnamed source said. According to an Aviation Safety Net report, the plane made a U-turn back towards the coastline shortly after take-off, before disappearing off the radar. However, an audio recording played on Russian media and said to be of the final conversation between air traffic controllers and the plane reveals no sign of any difficulties. The plane involved in the crash was an old model no longer flown by air lines in Russia but still used by the military. It was 33 years old.